I haven’t posted here in a while, so I wanted to update Red Brick readers as to the status of my work. I am still steadily continuing work on the Strieter autobiography, though more slowly than previously due to a change in the location of my ministry. I am nearly finished with Chapter 11, on Strieter’s ministry in Proviso, Illinois. Only three chapters and an addendum remain after that. As a way to provide fresh content regularly on this site, I am going to start a new “Quote of the Week” feature. The congregation I serve has asked me to provide them with daily devotions, and on Saturday each week the devotion comes from the Church Fathers, a hymn, or the Lutheran Confessions. Since I almost always go back to the original source and provide a fresh translation for these, I plan to kill two birds with one stone by also posting those quotes here, since they fit very well with the purpose of this blog. You can find the first “Quote of the Week” here. The triune God bless you all. Strieter’s parsonage property, W3276 County Road E, Neshkoro. Copyright 2016 Red Brick Parsonage. Strieter’s two-story timber-framed house filled out with clay was built around 1856 on this site. A log stable was built around the same time. Eventually the 2-acre property was expanded to 4 acres, and in 1876 a new parsonage was built. A new barn was built at some point too, the foundation of which is pictured here. The property ceased to be used for the parsonage after 1898. Something about hardships pertaining to Fall Creek. I go up there one time, drive to Montello, 12 miles. (I also had 12 miles to Princeton, and 12 to Wautoma. 400 steps or so off of the Mecan, to the west, was my house.) I take the wife along so that she can take the horse back home. From Montello I take the stagecoach to Parteville,25 from there to Toma on the railroad. Then it was 90 miles or so to Eau Claire on the stagecoach. Before it gets to Eau Claire, I get off and head off to the right on foot to Fall Creek to my people, who with few exceptions had been my church attendees [Kirchkinder] in Injunland. On way home, while riding on the stagecoach day and night, the driver, who had apparently fallen asleep, lost his way and drove into the bushes. He halts and shouts that we men should get out and should look for the road because he didn’t know where he was. There were two other men besides me in the box, and several ladies. We get out. The one man looks around and shouts, “Here is the path!” But the coach was situated on a slope. He has to turn around, so we three position ourselves on a ledge, grab on top, and lean backwards to keep the coach balanced so that it doesn’t tip over, and we make it back on the road. I had written my wife to pick me up in Montello, but she doesn’t get the letter; when I arrive in Montello, there’s not one woman there. What now? I have no other choice but to walk 12 miles. I was not at all accustomed to walking; I was always on the horse or on the buggy. I don’t get very far before my feet are aching and the soles of my feet are burning like the blazes. I sit down, take shoes and stockings off, and try walking barefoot, but that wouldn’t work at all. The sand was so hot, and every little stone was irritating. I put my stockings back on and now walk home in stockings, 10 miles or so. We come to a frightful hill. The two of us men have to get down. The horses cannot pull us all. The driver, the two ladies, and the little children stay up. The ground was loose, yellow sand. The horses run in a gallop as best they can, 10 steps or so, catch their breath again, and then another burst like that, until they are on top. We get back on and away we go. I get on my gelding. The other man takes off; I follow after. He puts them into a trot, and I put my gelding into a gallop. But right away I think, “Oh no, oh no, how is this going to turn out?” For he galloped so high and was throwing me into the saddle with full force. The consequences came soon enough. I get colic, and have to call to the man to stop, then take a seat in his wagon and tie the old boy to the back. The pains get worse and worse; the man finally has to drive at a crawl. I tell him to take me to an apothecary. He did so. The gentleman was in the middle of sweeping out. I tell him that I’m sick. He says, “Yeah, I can see that.” He disappears into his hideout and mixes me up something proper, a half glass full of yellow stuff. How it tasted, I don’t remember anymore, but I scarcely had it down before my belly gets red-hot and my pain is gone. The man was a young, friendly man; no beer belly on him. He directed me into the village. There, situated in the valley, stands a saloon in the center. I make my way there, address the bartender in German, and he answers me in German. I say who I am and why I was there. He says that he doesn’t care much for church. There in the distance in that little house by the hill lives a cobbler, he says; I should stop in by him. I head over. The cobbler is beating his leather. He stutters and says that yeah, a pastor had been there earlier, and the people from the country had come in to hear him preach. The preacher was supposed to eat at his place at noon, and they were going to give him 25 cents each time. They still owed him 50 cents, and he wanted nothing more to do with it. During the conversation, a door opens up and a woman walks in the door and soon picks up on the discussion. She speaks fine German. “Whoa,” I thought, “this is a sophisticated woman.” She gives me several zingers, but gentle ones, the gist of them being how people were expected to fodder the vagabonding33 preachers for free. I get red, stand up and say, “Listen here, ma’am, I am an honest pastor and no lowlife!” I pat my money-bag and say, “I have money. If you give me a meal, ma’am, I will pay you” [cf. 2 Thessalonians 3:6-12]. She turns friendly and apologizes. Yeah, he didn’t have any time at all, he said, and besides that, he didn’t know anybody either. I myself could not go and do it, for I was always scheduled in advance from place to place. So I was unable to preach in Chippewa Falls. I cross the river34 and get on my gelding and head up to Yellow River. I arrive at a settlement of Swabians, my own countrymen, turn into a house where two brothers live, who had two sisters as their wives. Each had a baby. They were in the middle of cooking sugar.35 So in the morning the one woman would go into the bush and the other would stay with the children. In the afternoon they would switch. In the evening many people came. In the morning a nice large group assembles in the schoolhouse.36 I announce my hymn and start singing; they sing along, very well, but somewhat slowly. I start to preach. Then a man calls out, “Mr. Parson [Pfarrer], a little louder; there are people here who can’t hear well.” So now I belt it out. After church I warn the people not to get involved with every single wandering preacher, but to come together on Sunday, sing a hymn, and a man should read a sermon out loud. A preacher would probably be coming to Fall Creek soon and he would serve them too. They bade me a fond farewell and expressed their many thanks. I head back to Chippewa Falls and continue on to Menomonie, but have to gallop; the fellow will only walk or gallop. Soon the inside of my legs are in a lot of pain, but what can I do? I have to keep going. In the morning I go to the schoolhouse.38 Was completely full. Before I know what’s happening they start to sing, but I don’t know the words and don’t recognize the melody either. When they stopped, I stood up and asked if this congregation belonged to Pastor Mohldehnke. I state my hymn, start singing, then preach. Also warn them to watch out for the fanatics, the Methodists. The wife of the Methodist preacher was even in church, as I was later informed. They took a hat collection and gave it to me. In general I received money almost everywhere. I have already wondered to myself why our traveling preachers today often have to be supported almost entirely from the fund. I never needed to apply to the fund for assistance. When I went to Big Bull, I would bring home a whole bag full of money. Indeed – 10-cent pieces, 5-cent pieces, such small 3-cent pieces, such big 2-cent pieces, a sixpence, a shilling, rarely 2 shillings. I would empty my bag onto the table for my wife and she would sort it all and put each sort into a little purse and revel in her treasure. I say who I am and why I was there. “Fine by me.” He goes and gets my horse into the stable and shows me in through the door to his family. I stay overnight. Soon an old little mother comes in through the other door. He told me that they had had 3 children, two sons and a daughter. The one son had drowned while floating logs, the other had been shot and killed in battle – the Civil War [Rebellionskrieg] was going on at the time – and the daughter had recently married and now they were all alone. I comforted them with their Savior and asked if they had a Bible. I told them just to keep reading them and to pray persistently and remain firm in faith in their Savior. He would not abandon them. “Dear father,” I say, “I have absolutely nothing with me. Hold on to the spiritual use of the Supper, sir. Apply to yourself the merit of Jesus, which he has won for you by giving over his body and shedding his blood. Then you will have the blessing of the Supper even without actually taking it.” But I make up my mind: “That is not going to happen to you again.” From then on I always took some wine and wafers along, even when I rode. I commended the dear folks to our dear God and took my leave. “Then go into this room,” and he opens the door for me. After the baptism they give me coffee and cake, then I continue riding to Eau Claire, turn in at my young carpenter’s place, who brings me to a widow.46 I cannot preach there. He was quiet, and one-two-three, the room was empty. “Please come and eat with us,” he says. I go in. There a large, roasted fish is sitting on the table; I couldn’t take my eyes off of it. We sit down. I say a prayer and dig in. “Couldn’t a person preach here then?” I ask. My steamer comes and I get on board for La Crosse. The boat gets under way and I go inside. Soon I go back outside. There stands a large man with a raincoat [Wachsrock] on, at the front and looking out. I go inside and outside more than once, and in the morning the man is still standing in the same spot. He now goes inside and another man takes his place.48 I learn that the night-watchman was the captain. A noble figure, getting old already, with a hooked nose. I come to La Crosse and take my seat on the [railroad] cars for Parteville. There stands my Fanny in the innkeeper’s stable, whom I have left there for so long this time. I hitch up and take off. Haven’t gone too far when I start to feel ill. I drive under an oak, let my horse munch on a bush, and I lie down on the ground and throw up. But nothing comes out except sour, bitter water, and some blood at the end. I’m so dizzy, the whole world is spinning, and my head aches badly. It’s getting to be evening; I simply have to get going. I crawl to my buggy and claw my way up, hold on tight to the seat on both sides and take off. Have to drive at a walk though; my head won’t take it. Reach home toward morning,49 lie down for a little rest and try to take my clothes off. But my underpants have crusted together with the grime, so that I first have to soak them with a wet, hot cloth. My legs from the top down to the knees are completely sore. That came from getting thrown around in the saddle. 26 Strieter appears to have departed for his first trip to Fall Creek on or around Monday, November 12, 1860, since he recorded two baptisms he performed in “Eau Clair” on November 14, 1860. According to Declaring God’s Glory: Yesterday, Today and Tomorrow (August 17, 2014), the commemorative book celebrating the 150th anniversary of St. John Lutheran Church in Fall Creek, “it was Wilhelm Stelter who convinced Strieter to make the trip to the Fall Creek Valley.” This is consistent with Strieter’s records, since Strieter calls him “my Stelter” and “a very dear Christian” in the previous chapter, and since he includes Wilhelm Stelter as a witness to the first of the just-mentioned baptisms, that of Florendine Caroline Stubbe. Declaring God’s Glory also claims that since “there was no local pastor” in 1863, Strieter “was called and twice made the 200-mile trip to conduct church services, baptize children and perform marriages” there. But this is highly unlikely, since a) Strieter’s records do not include any 1863 visits to Fall Creek, and b) Candidate Theodor Gustav Adolph Krumsieg was ordained and installed as as the congregation’s first regular pastor on September 28, 1862, and was installed at his next parish in Fond du Lac County on December 13, 1863. Even allowing for time to move from Eau Claire County to Fond du Lac County and for a delay in making arrangements to have a pastor install him in his new parish, it does not seem likely that Strieter would have had time to arrange and make two 200-mile trips to Fall Creek in the time available between Krumsieg’s departure and the end of the year in 1863. c) Fall Creek must have obtained a pastor not long after Krumsieg’s departure, since Strieter goes on to talk about another trip there in early April 1864 to conduct an investigation into the accusations against their pastor, a trip for which there is evidence in his records. That means that there had to be time for the new pastor to get settled in Fall Creek and for the relationship between him and his new congregation to deteriorate. 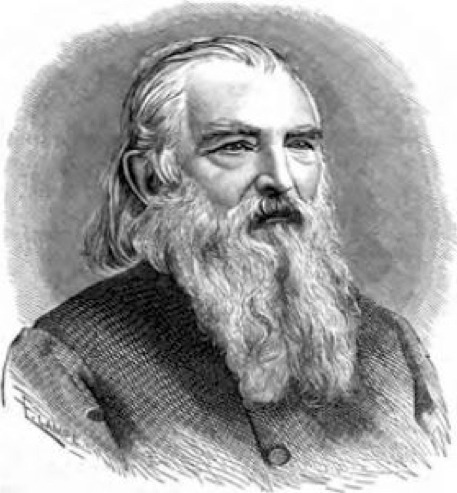 Finally, d) Declaring God’s Glory speaks of two trips Strieter made, and there is evidence of two trips in his records – one in 1860 and one in 1864, but none in 1863. The only discrepancy between what he shares here and his records is that he goes on to mention how “the sand was so hot” against his bare feet on the final leg of his return trip, so that he finished the trip in stocking feet, which hardly seems possible in a Wisconsin November. Perhaps the conclusion of this trip got jumbled with another one in his memory, or perhaps it was an abnormally warm November day. 27 For this final trip, Strieter records 5 baptisms he performed in Fall Creek on Sunday, April 3, 1864, after baptizing the son of his neighborlady on Tuesday, March 29. Thus he departed on or around Wednesday, March 30. 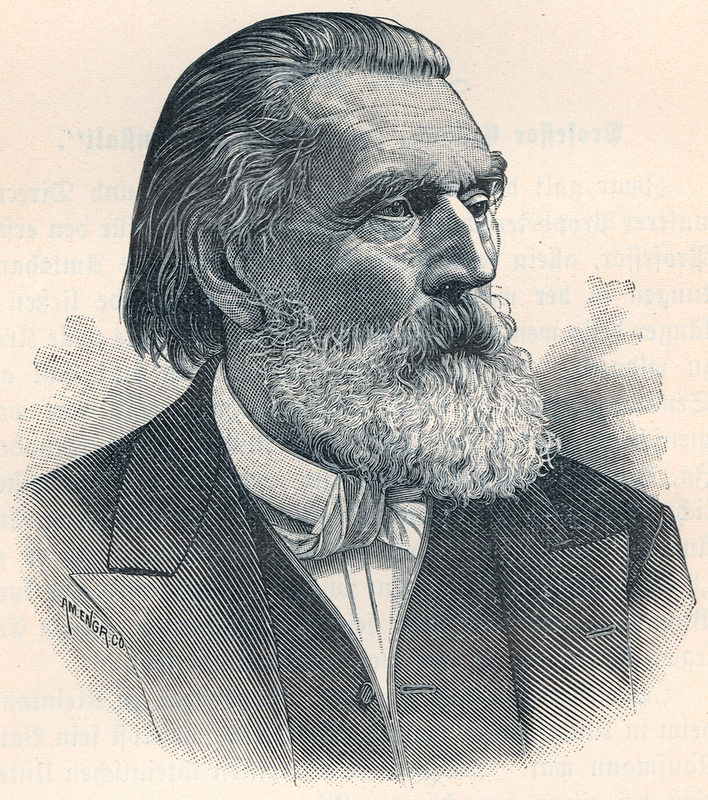 29 Ottomar Fuerbringer (1810-1892) was president of the Northern District of the Missouri Synod from 1854-1872 and from 1874-1882. 30 The preacher under investigation remains a mystery, though someone with more time and ambition could doubtless discover his identify. Even the 150th anniversary book for St. John, Fall Creek, does not mention any preacher between Theodore Krumsieg and Wilhelm Julius Friedrich. The latter preached his first sermon in Fall Creek later that year on August 7 and was ordained and installed on October 2. 31 A visitor was akin to a circuit pastor today. He was answerable to the district president and responsible for visiting the pastors in his area. 33 The printer misread herumlaufenden for Strieter’s herumstreichenden. 37 Strieter’s spelling of Moldehnke. See endnote 39 below. 39 Pastor Eduard Moldehnke of the Wisconsin Synod made three well-documented mission trips between 1861 and 1862, but in none of these does he mention stopping or preaching near Menomonie. 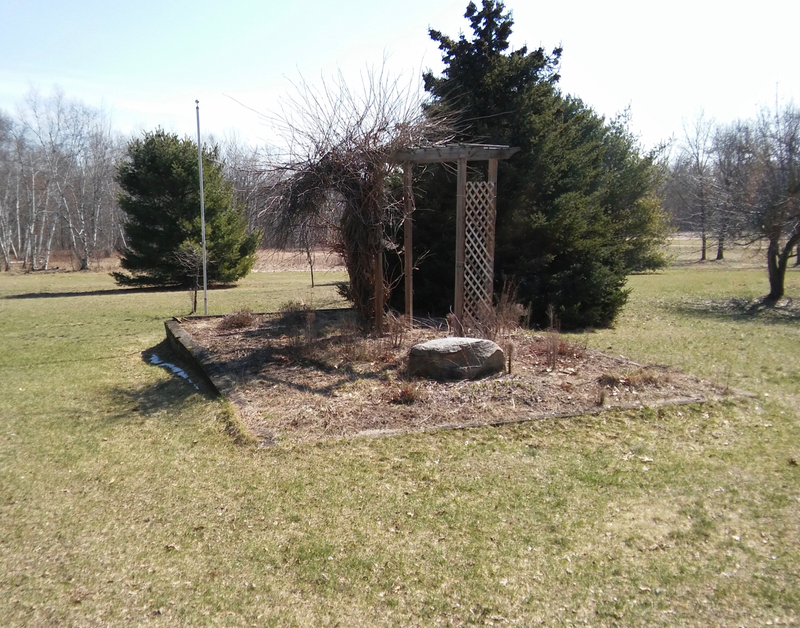 However, at the 1863 Wisconsin Synod convention, President Johannes Bading reported that “during the course of spring , journeys were also made in Minnesota and four stations were visited. Furthermore 14 new stations were established in western Wisconsin, so that altogether 22 stations in Wisconsin and Minnesota are being served by the traveling preacher.” At that same convention, it was resolved to release Pastor Moldehnke from his position so that he could serve as instructor of the seminary-college to be started in Watertown. Pastor Moldehnke agreed to the new position, provided he be given three more months to wind up his traveling preacher activities, which was granted. 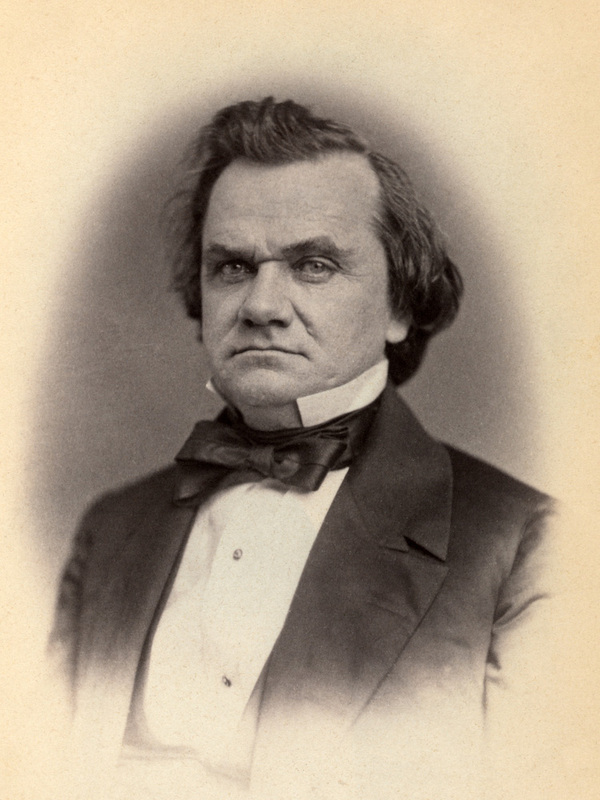 After 1863, Moldehnke appears only to have made one more trip in 1866, since it was reported to the synod convention that year that Moldehnke had spent several months in Minnesota as a traveling preacher. So the congregation mentioned by Strieter here most likely did not have to relay Strieter’s message. 41 Strieter records baptizing 4 children in Durand on this day – Christian Lorenz Kuhn, August Wilhelm Zeising, Wilhelm Heinrich Wetterroth, and Anna Elisabeth Catenhusen. 42 On Saturday, April 9. Strieter’s two baptisms “by Mondovi” were of Johann Ludwig Heinrich Machmeyer and Heinrich Schreiner. 43 The printer misread buntes for Strieter’s blaues. 44 This is not exactly proper language about baptism. Baptism is a one-sided covenant in which God does all the acting, not a two-sided covenant. In baptism God saves us (Mark 16:16; Titus 3:4-5; 1 Peter 3:20-21), forgives our sins (Acts 2:38; 22:16), clothes us with Christ (Galatians 3:26-27), makes us heirs of eternal life (Titus 3:4-7), and makes a pledge to us that we will have a good conscience before him (1 Peter 3:21). This of course does not benefit us apart from faith in Christ (Mark 16:16), but the responsibility for the loss of faith lies with us, not with God. Strieter does allude to this proper view of baptism when he calls baptism a “covenant of grace,” which it cannot be unless it is one-sided. The language of two-sidedness crept into Lutheranism over time, especially in trying to describe the purpose of the confirmation rite, which is not instituted or commanded in Scripture. One faulty explanation of confirmation is that it is a renewing of our baptismal covenant, which we cannot in fact renew, since we had no part in making the covenant in the first place. 45 Strieter appears to be faltering a bit in his memory here. He did baptize 4 children in the town of Brunswick in Eau Claire County on April 9, but they were not all girls, and the baby’s name was not Trude. He baptized Anna Louise Wüst (b. September 6, 1856), Amalie Caroline Wüst (b. November 13, 1857), and Carl Friedrich W. Wüst (no birthdate given) – all children of Johann and Maria (Damas) Wüst – and also Marva Peisch (b. November 22, 1863), the daughter of Johann and Amalie (Würtenberger) Peisch. The similar experience he had in Berlin actually occurred less than a month later, on May 1, when he baptized 4 daughters of August and Barbara (Ander) Schipinsky – Pauline Wilhelmine (b. December 14, 1852), Emilie Clara (b. May 17, 1854), Louise Wilhelmine (b. October 14, 1855), and Anna Friederike (b. May 29, 1860). 46 The German in Strieter’s manuscript is difficult here. I have followed Leutner’s abridgment. Strieter’s manuscript reads (to the best of my ability, trying to discern what was later crossed out): “…der führt mich zu einer Wittwe [sic], die einzigen [sic] Lutheraner im [in? ein? ]”, followed by a large space, followed by a word that starts with an S, but is indiscernible because of the lines stricken through it and the attempted corrections written over the top of it. Whatever the case, Strieter appears to have faltered here to one extent or another, since his records indicate he did baptize 2 children in Eau Claire on Sunday, April 10. 48 This sentence was omitted by the printer. 49 Strieter appears to have concluded his investigation/mission trip on Tuesday, April 12 – nearly two weeks away from home. And now some more about the hardships. One time I was driving across a marsh, alongside the road, because it was completely impassable, came to the end where there was standing water, and I note, “There you will get stuck.” There was a pile of fence rails lying there which I went and brought over, then lay one next to the other and build a bridge, pull the horse onto it, keep taking out the ones in back and putting them down in front again, kept on doing that until I reached firm ground. But now I arrived too late. The people were gone. One time I was driving to Berlin for preaching and I wanted to take a box of books home with me from the depot. The railroad went from Ripon to Berlin. Got up very early, for I was in a hurry to get home, for I was almost always in a hurry. It’s not yet day. The valley below, where the depot was located, was filled with fog, but I saw light through the window in the depot. I was heading for that; I could not see the path. All at once I jerked forward and then just as quickly backward again, so that I thought the evil foe was taking me on. I have to wait once I’m there. The man wasn’t there yet. Day breaks and I think, “You should at least go see what the deal was there.” See, there was a hole dug – someone was presumably looking for sand – 6-8 feet or so long, 3 feet or so wide and just as deep. I had driven over that. I looked at it and wondered just how the horse got across that. It did not see the pit and plunged right in. But my Fanny was nimble. One time Pastor Brand, a Norwegian, came to me and wanted to get across to his daughter congregation by Puckaway Lake – a farmer had brought him from another daughter congregation – and he asked me for Communion wine and if I could take him there. We were driving there. On the shore of the lake stood a little house. Out came a friendly man and greeted me by name. I asked him if he knew me. He said, “I am in your church as often as you preach at Buchholz’s, sir.” It must have been 6 miles away or so. 24 Puckaway Lake is only 5 feet deep at its deepest point. “Huh?” is the answer I get. I ask him to get up. He comes. He accompanies me out to the stable, puts the saddle on. I pay and take off; it was two o’clock. But now how cold it is under the bright sky and in the air! Around 7 I come to my Everay, who tries to take off my shawl, but shawl and beard are one icy clump there. I first have to hold my head by the stove for a while until it thaws. I eat and get back on my pony to go to Big Bull. Again cannot ride hard; the snow is too deep and too loose. Around 8 in the evening I finally arrive in Wausau. I head for the inn and have my little horse brought into the stable. “I will take care of the pony,” says the hostler. I say, “No, I will take care of the pony,” have him make a straw-bed for him, stick some hay in, give him water – he was not warm – and 4 quarts of oats. That done, we now go into the house. I let them give me something to eat, then go to bed. Another time I take the sled.11 The neighborlady [Mrs.] K[ohnke] also sends a sackful of buckwheat groats with me to give her mother, and I had my box with books that I always brought along – hymnals, Bibles, postils, catechisms, prayer books, Bible histories – and a basket with my Communion paraphernalia and a traveling bag with my robe. I preach and hold Lord’s Supper here and there. I have to drive a long stretch through the beautiful virgin forest. There lies a tree stem across the path. 4 feet off the ground it had broken off and is lying on the stump and, on the opposite side, on its branches, 3 feet high or so off the ground. I cannot go around; there is thick underbrush both left and right. I undo my Rocky from the sled and draw him around to the other side and cover him up and now work at getting my sled onto the stem. It was heavy, and I have to exert myself tremendously. Finally I have it on top. But what now? I have no other choice but to let it go. Down it slides, but somewhat crooked. I crawl through underneath and try to lift the shaft up, but oh boy, it must have gotten stuck under something there. I cannot get it up and have to push my sled backwards onto the tree again so that I can get the shaft loose finally. I hitch my pony, but I had shoes on – my feet were wrapped in a wool cloth and I had fur shoes over that. The snow gets into my shoes, melts, and it’s getting cold now, for night was falling. I hitch my horse and continue on to my destination. I arrive, my horse is taken off my hands and I go inside, sit down in front of the stove and try to take off my shoes and also my stockings, to rub my cold feet and warm them up. But the stockings are frozen tight to the skin, and I first have to stick my feet in the stove to thaw the ice. When I woke up in the morning, my bed partner was gone. I ask my hostess what sort of man that was. Then she told me that he was a follower of Grabau.12 He had come here with a bundle of money, had bought himself a bunch of land and had used his money to help others get land. He said that we were not the true Lutheran Church; he and his adherents were. Those he had tied to his purse strings stuck with him and he would read to them from Luther and act as their pastor. When I came back,13 they told me that scarcely had I left when one day the sun had shone nice and bright and after that it had frozen again. Then the snow had frozen hard, and way up yonder stood a beech tree that had still had nuts that now fell down. Then they had lured the mother pig over there to glean the beechnuts. Pretty soon the pig had started squealing terribly, and the bear was sitting by it and wolfing down its flesh from its living body. The father had loaded the old shotgun, and since he didn’t have any shot, put stones in. The boy grabbed the axe and the father the gun and they went to meet the bear. The father aimed again and lowered the weapon again. Then the boy said, “Father, give me the weapon. I’ll shoot,” and the bear lay down on his side. Shot him in the ear. They brought their pig home on the hand-sled and laid it in front of the stove and tended to it. Its whole side had already been eaten away down to the ribs. But it recovered again. They sold the bear’s hide, oil, and meat and made, if I’m not mistaken, 16 dollars. I drove home.14 It was cold. Between Steven’s Point and Wautoma I come to a place where I had previously turned left. I can see just fine how high the snow is, but think that the pathway still must be firm, for we would often go on trips 6 feet high above ground. The freshly fallen snow would always get trampled down firm again. But look, my pony sinks so deep into the snow that I can only still see his head and tail. I undo the horse, pull the sled back, and now trample around in the snow so that my horse can get some air, and I bring it out of there and hitch it back up. At this point a man comes who tells me that I had to turn left further down. I have my little horse unharnessed and go inside. After a while two Jews come, one younger and one older, with a sled full of pelts which they had obtained from the Indians by trade. When they had warmed up and were about to leave, I ask where they were still planning on getting to tonight. “To Berlin,” was the answer. To Berlin – that was at least another 30 to 40 miles! “Why,” I thought, “if they can do that, you can still make it home too.” I have my little horse hitched back up and I follow the Jews. The snow was dug out on the right side and so we could sled through along the fence and the snowbank. All at once my Jews disappeared. Then I reach the corner. The snow was dug out across the path to the other side and was so high that I couldn’t see the Jews any more when they turned the bend. Further along it bends back to the right, with the fence on the left and the snowbank on the right. Then, all at once: Stop! There stood my Jews and I behind them, with a sled loaded with sacks in front of us that wants to come this way. Right away a troop of oxen comes, driven by two men, who also want to go up the way we were going. After briefly consulting, it was decided: “The big ox there in front must create a pathway.” The ox now gets some beatings and he burrows through the snow. When he makes it forward a few feet or so, then he is given a rest again, then they lay into him again, until he is finally around the sled in front of us. The others now had it easier. Once the oxen were gone, the driver in front of us also wants to turn out and go around, for we could not; we had a snowbank 6-8 feet high on the right. But his white horses won’t draw one trace tight. He had to unload all of his sacks and they then drew the empty sled around. Now there is a clear pathway and my Jews now try to get going, but now one of their horses won’t budge. They had a big old yellow horse on the right, and a young little animal on the left, four years old or so, who won’t budge. They now lash at the tired little animal mercilessly. The younger man goes and stands in front and beats him between the ears with the thick end of the whip handle. But the animal takes the beating and doesn’t move a muscle. I ask them to please not beat the animal like that. They should grab the big horse by the bridle and talk to him nicely to get him to draw the sled tight first. They did that and it worked. Away they go now, with me following along. In Wautoma they turn left to go to Berlin, and I turn right to go to my homestead. I still had 12 miles. For a stretch it was going well, for I had a pathway, but now I had to leave the pathway and turn left. The snow is deep there. My Rocky is almost knee-deep in the snow. It’s not long before I have no idea where I am any more. I’m freezing terribly, throw the reins over my head and wrap myself in the buffalo. It is getting colder and colder. I think, “This night you will freeze to death.” I start praying that my dear God would please take my poor soul to himself if my final hour had arrived. Then the thought of the wife with her 4 little children occurs to me. “No,” I said to my dear God, “you cannot let me freeze to death. Bring me home alive to my family once more.” Sleep wants to overpower me. But I keep moving my arms and legs over and over and keep praying unceasingly to my God to please have mercy on me. All at once I come upon a track and also see a house on the left. I look at it and recognize it; it’s the Bursak16 schoolhouse. I say, “Gid up, Rocky!” and in fifteen minutes I am in my yard. I go inside. My wife gets out of her warm nest and lies down with the children, and I get in. She throws everything we have on me, also gives me something warm to drink, but I am freezing so badly that my teeth are chattering. It was 3 o’clock in the morning. I had been sitting on the sled and had eaten nothing from 7 o’clock in the morning to 3 o’clock in the morning. I go and get my Rocky and retrieve my mail items, let my little horse in through the small gate and have the wooden nail in my hand that gets pegged in front. My Rocky doesn’t quite go through far enough. I give him just a few taps in the rear and say, “Rocky, a little further.” He whinnies and turns right – two acres were fenced in – down along the fence, then up along it over there, and 3 times or so around the yard going along the fence, so that the snow and the halter strap were flying in the air. Oh, was I glad to see that! 9 I.e., in Plainfield. He appears to have stayed there on Monday night, November 26, 1860. 10 Namely, on Wednesday, November 28. He baptized one baby on Thursday, three on Friday, three on Sunday, and three on Tuesday. 11 He departed on this third and final mission trip to Wausau on Monday, January 14, 1861. He baptized three children that evening in Stevens Point. He stayed overnight in Wausau on Tuesday, and arrived at his destination on Wednesday morning, January 16. He baptized two children that day, two on Thursday, four on Saturday, and one on Tuesday. 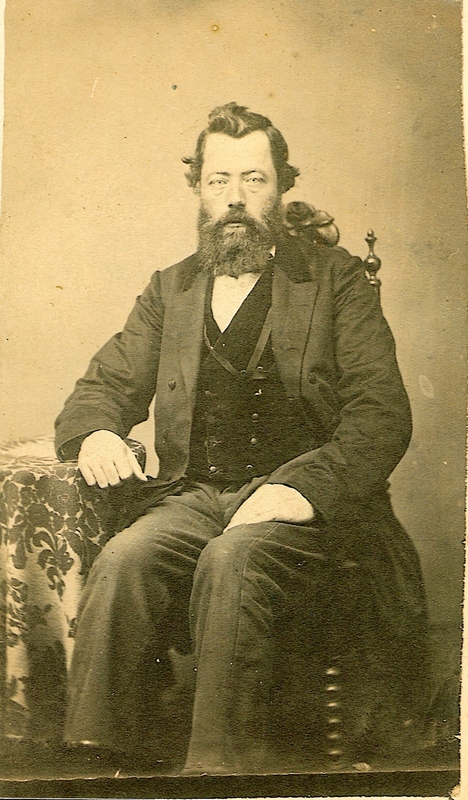 12 Johannes Andreas August Grabau (1804-1879) was imprisoned in Erfurt in 1837 for opposing the Prussian Union (union of Lutheran and Reformed Churches in Prussia). With the help of friends he escaped and went to Berlin, where he continued his ministry secretly. He was arrested and imprisoned again in 1838. He was permitted to emigrate in 1839 and did so with about one thousand other Prussians. A small group stayed in Albany, while Grabau and the majority settled in Buffalo, where he served as a pastor for nearly 40 years. In 1845, he helped organize what came to be called the Buffalo Synod, a distant ancestor of today’s ELCA. Grabau butted heads with the Missouri Synod over his extreme views on ordination and the authority of the ministry, among other things. 13 Most likely for J. J. Hoffmann’s installation on Sunday, August 25, 1861. 14 Strieter is resuming his previous story, before the incident with the bear and the pig. 16 The correct spelling appears to be Bursack. As soon as I arrived in Injunland, I bought my Charley from a Catholic for 60 dollars. Since I had no money though, dear [Mr.] Bucholz put up security until I could pay. The brute was very nasty though. The moment he was hitched up he would want to take off, and Mama and the maid would have to hold him, one on each side, until I was in the buggy. As soon as they let go, away he went! If I restrained him, then he would immediately rear up. If I let him run, then he would run for all he was worth for two miles or so. He also proved his nastiness by darting to the side at every stone or stump, and right after that he would take off blindly – it could be in any direction – and would do so as quick as lighting. He soon had to pay for his nastiness, or rather I did, for he got the heaves on me and began to limp with his front leg. Now he behaved; I could let him stand wherever I wanted without tying him up. But a lame horse would not suit me. I drove to Big Bull. There I turned in at an innkeeper’s place,4 later too. The gentleman was uncommonly friendly towards me, never would take any pay from me, and I always had to eat with him at the family table. I drove to Wausau and from there out into the bush. I stopped at the first farmer’s place and held church.5 That night it rained heavily, and now my buggy was finished. The man took it apart, loaded it onto his wagon, drove it back to Wausau, put it back together, and I left. I arrive at the lodging yard, take the harness off, put the buffalo on the horse’s back and start to ride back. “Wait,” I thought, “this simply won’t work. You made arrangements with M. T. to bring you to Ripon tonight. You’re going to the synod convention in St. Louis.”7 I turn around, put the harness back on, hitch up, and start pulling my Kate along after me again. I come to a small grove, take my seat in the buggy again, hang my head, and consider the miserable predicament I’m in. Kate hangs her head too and goes to sleep. I quietly grab my whip, lash her a good one under the belly and yell, “Gid up!” She lurches forward, runs like mad, and I head home on the run. I hitch her back up, but nope, she won’t budge. I put the saddle on and ride to Steven’s Point. There I hear that Everay is outside of town on his farm. I go and find him and tell him what the deal is. He shows me a pony, white, somewhat yellowish, with black mane and black tail, a fat fellow. Rocky is his name. He says, “He goes, and is a fine riding horse. Give me 20 dollars for him.” He writes a bill with a pencil; I sign and get up on Rocky and take off. Oh, how fine he gallops, how thrilled I am, how I thank God for my little horse! Now I was taken care of; now I can drive and ride, and my wife and children are delighted with the handsome, nice Rocky. I now do a lot of riding and read my Luther on my Rocky. When he gallops, it’s like I’m sitting in a rocking chair. 4 Strieter left on Monday, October 1, 1860, stayed in Stevens Point that night, and stayed in Wausau the night of October 2. See next endnote. 5 Strieter held church for the first time in the Wausau area on Wednesday, October 3. He also baptized eight children that day. The farmer appears to have been Carl Kufahl, who lived on the northeast corner of what is today the intersection of County Road A and N 72nd Avenue. (Today this site is the parking lot for Schmidt’s Ballroom Bar and Grill.) He later donated some of his property for the site of Immanuel Lutheran Church. The front page of the August 15, 1910, edition of the Wausau Daily Record-Herald records some of the reminiscences Strieter shared six years after penning this autobiography, when he returned to the Wausau area for a 50th anniversary celebration shared by eight Lutheran congregations: “I took my horse and buggy and drove to ‘Big Bull’ but before I reached this hamlet, my buggy was all in pieces. The road was full of holes and my horse became lame. With the help of some of the earlier pioneers whom I met enroute and who had heavier teams and wagons, I safely reached ‘Big Bull.’ But here [in Wausau] there was no one. It was impossible for me to preach the gospel at a place where scarcely anybody lived. I remember a man who had a store near the river, I believe his name was Kickbusch, where I stayed over night. The next morning I went to the town of Berlin, where a large number of people gathered in various homes and listened to my preaching.” There was doubtless some error in transmission from German to English, and Strieter may have grown fuzzier in some of the details, but this does appear to supplement what he shares in his autobiography here. His buggy probably was starting to fall apart already before he headed out “into the bush,” and he did almost certainly stay with a man named Kickbusch on October 2 – August Kickbusch, to be exact, who had arrived from Milwaukee earlier in 1860 and had opened a store in a little shanty on Clarke’s Island (Marchetti, op. cit. [endnote 16 here], p. 127). Clarke’s Island today is primarily occupied by Big Bull Falls Park beneath the Stewart Avenue Bridge. 6 In his manuscript, Strieter spells it Evreÿ here, then Evrÿ and Evry later. The editor corrected it to Everey here and Everay later. The printer consistently printed Everay. 7 The 1860 synod convention in St. Louis was held from Wednesday, October 10, to Saturday, October 20. 8 The book mistakenly printed Tisch (table) for Busch.